Get a Real Waterproofing Solution From a Reputable Company! 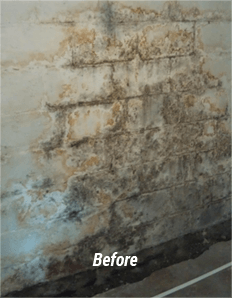 In Need of a Trustworthy Basement Waterproofing Contractor in Michigan? In the event that your basement floods, thousands of dollars’ worth of damage to your home and belongings can occur. Since your basement is the foundation of your home, you need a professional who specializes in basement leak repair and waterproofing systems to properly seal any potential water from entering your home. This ensures that your basement’s walls and flooring remain structurally sound for years to come! Don’t wait until before your home floods! At Now Dry, our waterproofing technicians provide homeowners with the answers they need about the source of water in their basement and how to stop it. 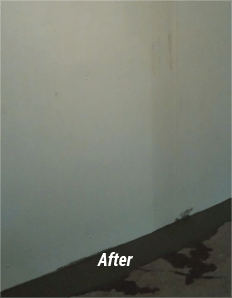 Our team has the contractors you're looking for that can identify the actual cause of the water leaks in your basement and have the experience to provide a solution guaranteed to stop the leak. We use proven techniques and modern waterproofing technologies to stop any leaks in your home for good! We provide lifetime guarantees for all of our waterproofing systems and services. Depending on how old your home is, it might not have a drainage system installed to keep underground water and runoff from seeping into your basement or crawlspace. If left unattended, this water can turn into standing water, which is a breeding ground for insects and other bacteria. Michigan’s wet basement problems usually can’t be solved with DIY products from big box stores and DIY drain tile installations are dangerous, as they include a lot of nuances and engineered safety that only a professional should do. Now Dry’s certified waterproofing contractors provide drain tile installation services as a part of an entire basement waterproofing system. We will provide a free assessment of the conditions of your basement or crawlspace as well as the property around your home to determine the root cause of your flooding before a solution is recommended. Many of our high-tech waterproofing solutions and products can be installed quickly and with very little inconvenience to your family. We ensure that our drain tile pipes meet requirements for durability, safety and thermal performance at all times. If your basement floods after heavy rains, during spring when the snow melts or anytime in between, your home needs a sump pump. 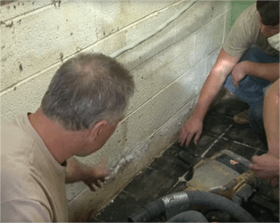 Sump pump systems are typically installed in basements of properties where the water table is above the foundation of a home and basement flooding happens regularly. Many plumbers offer to install sump pumps, but due to the engineering involved in moving water away from your foundation, sump pumps should be installed by a trusted waterproofing company. 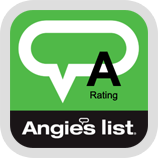 As Michigan's top-rated waterproofing company, Now Dry will provide an honest assessment of your basement leak and help determine if a sump pump is a necessary component to keep your basement dry. Our team is able to provide a proven solution specified to your home as well as a lifetime guarantee on the installation! Simply contact us and we’ll get to work installing a sump pump that is a perfect fit for your home. Tired of dealing with a wet basement? Call Now Dry! We provide free estimates for professional installation of waterproofing systems for Michigan homeowners in Fenton, Berkley, Ferndale, Royal Oak, Birmingham and the surrounding areas. …Steve promised to be hands-on and indeed he was. The crew arrived each day at 8 AM as promised despite coming from an hour away and they all worked hard, were friendly and efficient. More than six months have now passed and we have not had even a drop of water in the basement despite a torrential rainstorm after a heavy snow just last week.